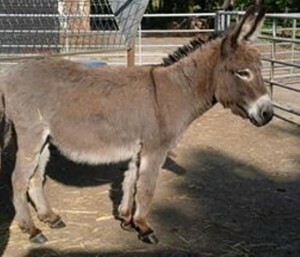 I breed donkeys as a hobby and do from time to time, have a youngsters & older donkeys for sale. The above mare Bunns Miss Alesha Star is homebred, born in 2011. She is a small standard donkey with a height of 10.2hh, she has been shown in hand at local shows (including New Forest & Hampshire County Show), she is friendly sometimes a bit cheeky when she needs to be caught, good with farrier & the vet. Up to date with Flu/tetanus/ microchipped & has a Full Donkey Breed Society Passport. Finding the right home for me is essential when I rehome my donkeys. Donkeys should not live on their own as they enjoy company, so please only buy a donkey if it is going to live with another donkey or a pony. For more details please make contact. 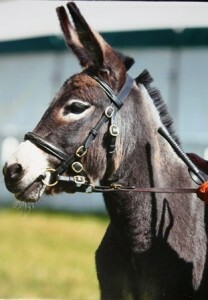 This donkey is now SOLD, living in Jersey & currently being broken to harness.